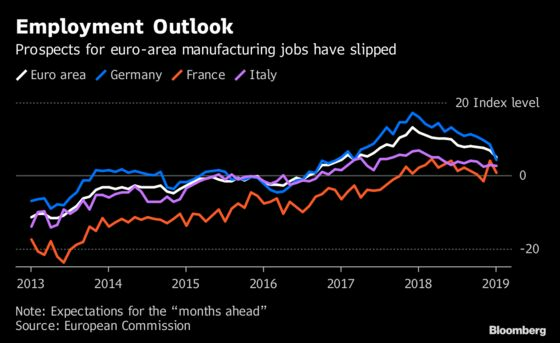 (Bloomberg) -- Euro-area manufacturers have become more pessimistic about the outlook, a shift in sentiment reflected in employment prospects. A European Commission survey signals they’ll be more cautious about adding jobs in the months ahead. Economists expect that the unemployment rate will continue to slowly decline, and the latest figures will be published at 11 a.m. in Luxembourg on Thursday.